For hours, neither the Iowa Hawkeyes or Michigan State Spartans could score a touchdown in the Big Ten Championship Game in Indianapolis. Twitter, ever-snarky, produced tweet after tweet saying this was a “typical game” for the supposedly offensively blunted Big Ten. But even then it was riveting theater, as the teams traded field goals. Everything was on the line, a conference championship, a berth in the College Football Playoff, seasons for the ages for two proud programs. Michigan State is a bruising, blue collar program that beat rival Michigan on a miracle play and then muscled past Ohio State to the top of the heap. Iowa’s schedule had been widely criticized as soft, but they had won every game by not beating themselves and competing relentlessly. Now they were proving themselves against an elite team. Iowa led 6-3 at the half after a long Spartan field goal hammered off the crossbar, sending a booming sound throughout the stadium. Michigan State kicked its way in front with two third quarter field goals, taking a 9-6 advantage into the final quarter. The game to this point had been gripping, but that had just set the table. On the first play of the fourth quarter, Iowa quarterback C.J. Beathard heaved a deep pass, which cut through the air and into the hands of Hawkeye receiver Tevaun Smith, who raced free down the field for a stunning 85-yard touchdown. Watching the game in Columbia, Mo., I all but heard the roars from the delirious state to the north. 13-9 Hawkeyes. The teams traded punts one more time, for old time’s sake. Then Michigan State began a drive at its own 18 with 9:31 to go. The Spartans converted a third down with a Connor Cook pass, and they were on the move. Slowly. Another third down, running back L.J. Scott got four yards when he needed three. A replay review turned a catch into an incompletion, forcing a third third down situation, this one at the 50. Cook fired a pass to Aaron Burbridge, the receiver who had just had a catch taken away. Burbridge caught it and hung on despite a punishing hit from an Iowa defender. First down Michigan State at the Iowa 34. The Iowa defense dug deep. The defense had been sound all year, but this second half had been a grinding test at the edge of a cliff. In the second half, Iowa would run no plays in Michigan State territory. However, the Spartans would run 30 plays in Iowa territory in that second half. The Iowa defense was a chef preparing a world-class meal in a kitchen that was on fire. Still, they kept dishing out punishing hits, following their assignments, making the tackles. Following the Burbridge catch, Michigan State began hammering away, running it 12 straight times, some by Cook but mostly L.J. Scott. The minutes slowly faded away. Everything was on edge. Cook for seven yards. Scott for three yards. Scott for three yards. Scott for six yards. Scott for two yards on 3rd-and-1. Scott for three yards to the Iowa 10. Iowa coach Kirk Ferentz, resolute in his team keeping the Spartans out of the end zone, nevertheless began calling timeouts to preserve time for a rebuttal, always covering his bases just in case. He hammered away at the gum in his mouth, as he had all game. Whether it was to calm nerves or simply an outlet for intensity, his jaw churned endlessly. Scott for five yards. Scott for no gain on third down. 4th-and-2 at the Iowa 5. Everything on the line. The tension was unbelievable. After Iowa’s third and final timeout, Cook ran it on an option keeper on fourth down. Right at the line to gain an Iowa defender smashed into him. Cook was driven to the turf right at the line. The refs measured... first down. After 19 plays, the drive was still on. Less than two minutes to go. First and goal from the Iowa 3. The Hawkeyes, winners all year, were in a dire spot. Some sportswriters on Twitter said Iowa should maybe let Michigan State score so they could have time to respond. But Iowa’s offense had mostly struggled in the second half against the steel Spartan defense, and Kirk Ferentz and his Iowa Hawkeyes weren’t going to simply let any opponent in. They would have to earn it. The game would be decided here and now. Ferentz looked out at his gallant, probably exhausted defense, like a father looking at his sons. His face was etched with reminders of the effort big-time college coaches pour into their craft. He kept pounding the gum. Making eye contact with his team, he made fists with both hands and lightly shook them at his sides. It was the understated, Midwestern way of standing on box and shouting through a megaphone to leave it all on the field. On the other sideline, Spartan coach Mark Dantonio stared at the action. He had built and built and built Michigan State. Despite his stern exterior, he is a man capable of transformative smiles. But not now. His face was also etched with hard lines, his stare carrying a ferocity. He seemed unblinking. First and goal. Scott, on his 12th carry of the drive, slammed ahead with all the force and fury he had. The Iowa defense stopped him just short of the goal line, after a gain of two yards. Second and goal. Scott, on his 13th carry of the drive, slammed ahead with all the force and fury he had. The Iowa defense stopped him just short of the goal line. Less than a minute to go. Third and goal. Scott, on his 14th carry of the drive, slammed ahead with all the force and fury he had. The Iowa defense stopped him just short of the goal line. But not quite. After the initial stuff, Scott, kept surging forward, sliding off one, two, three, four would-be tacklers, finally in desperation sticking the ball where he could not get his body, across the line into the end zone. The Michigan State fans erupted. There were no longer seats, rows and aisles, just one jubilant, tumultuous mass of green and white and noise. It was a drive for the ages. 22 plays, nine minutes, touchdown for a 16-13 lead with the season and the conference title and the playoff hanging in the balance, against a defense making a courageous stand. Iowa’s final frantic effort with the remaining 27 seconds didn’t go very far. The Spartans had won. Whether it mattered to the Hawkeyes or not, they finally had widespread national respect, having gone down to the wire against one of the nation’s best teams. As the Iowa players gathering in the corner of the field to jog to the locker room together, the Iowa fans stood and cheered and applauded, on and on, thanking their players for the remarkable season. Michigan State was moving on to the College Football Playoff, and Iowa to the Rose Bowl. Both teams, and the Big Ten in general, had put on a show, a battle of wills, college football at its finest. In the end, it was anything but a typical game. 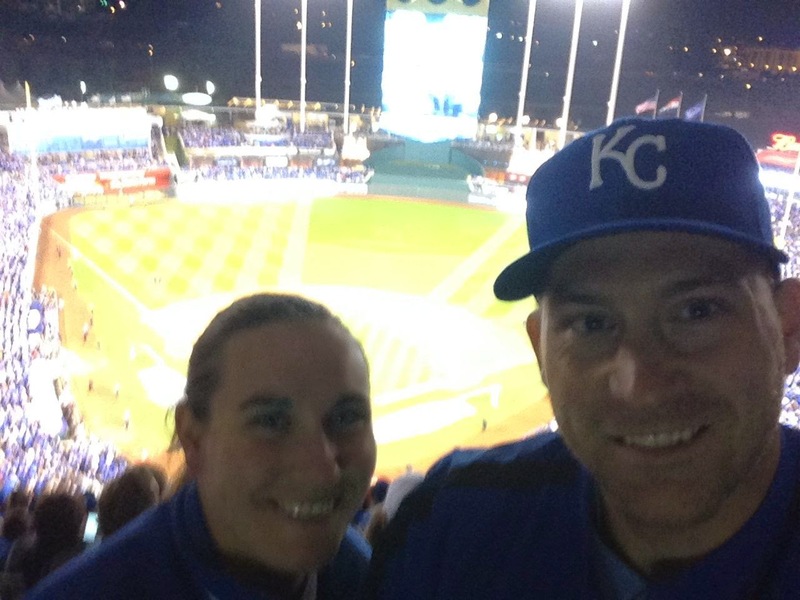 On Nov. 1, I settled in to watch the Royals try to win the World Series. I sat on a blue couch, wore a blue Royals shirt, and kept my blue Royals hat within arm’s reach. I had loved the Royals even though they were pretty awful for all my life, like you might love an ugly dog. But over the last 15 months they were a juggernaut. It was bizarre and wonderful. The Mets started Matt Harvey in Game 5, and he was cruising, hanging up zero after zero. The Mets led 2-0. Perhaps the series was going back to Kansas City. 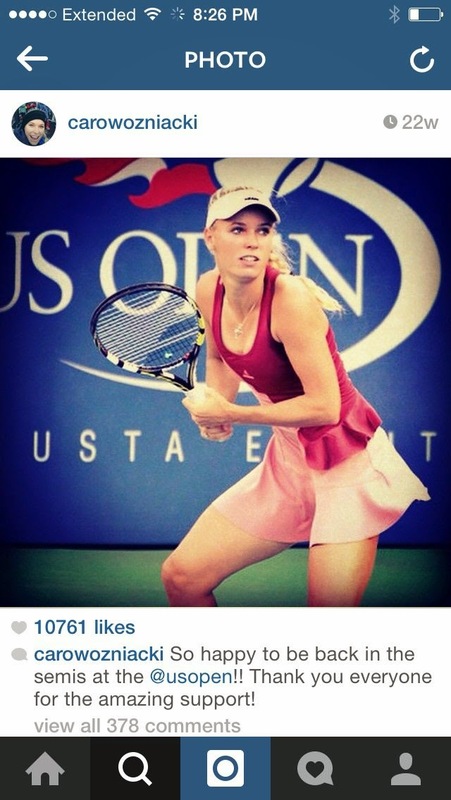 It was August of 2005. I was about to embark on a major change in life, going off to college. The Royals lost 19 games in a row. I remember listening to a game in the upstairs of the house where I grew up, and Denny Matthews saying Chip Ambres had dropped a routine fly ball that would’ve ended the streak. It was all ridiculous. Initially it appeared Mets manager Tony Collins would take Harvey out of the game after eight scoreless innings, but Harvey pretty much refused. Collins let him go back out. Leading off was Lorenzo Cain. The Royals offense hadn’t done much all night, but Cain churned out a walk, and then stole second. Hosmer then belted a double to left and Cain raced home. 2-1. The Royals had life. 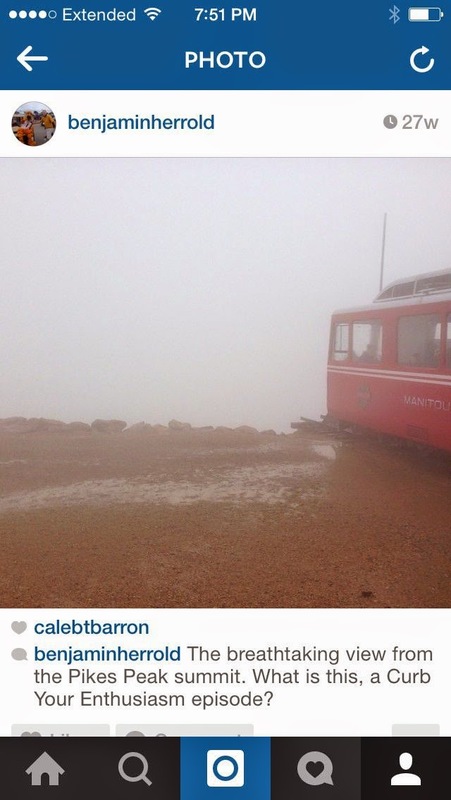 It was September 30, 2014. Maybe the best game I’ve ever seen in person, the AL Wild Card game. Three times the Oakland A’s took the lead, and three times the Royals rallied, twice when they had to score a run or the season was over. The Royals won in 12 innings, near midnight, with Kauffman Stadium roaring. That launched a remarkable postseason run that didn’t end until the unyielding Madison Bumgarner shut the Royals down to win Game 7. It was epic theater to be there, but it was crushing. They’d been so close, and there were no guarantees they’d ever get there again. After Hosmer’s hit, Mike Moustakas grounded out to first, moving Hosmer to third with one out. Salvador Perez hit a grounder to third. As soon as the Mets’ third basemen threw to first for the out, Hosmer charged home like a madman. It was an audacious move, and Lucas Duda’s throw home was wild and Hosmer slid in safely. My shouts could presumably be heard all over northwest Columbia. Tie game. Extra innings. It was June 6, 2006. I was raking hay on my parents’ East Farm, listening to Sports Radio 810. It was the day of baseball’s draft, and the Royals had the first pick. They seemed to be a franchise that had reached its Armageddon. Operating without a general manager (Dayton Moore had been named but supposedly wasn’t involved in the draft), picking on 6-6-6, the Royals took Luke Hochevar, a pitcher who had thrown a year in independent ball the year before. He was historically bad as a starting pitcher, just abysmal. Still, he kept digging. The Royals tried him as a reliever in 2013, and he was terrific. But then he was injured for the season heading into 2014. A devastated Hochevar said he was sad he couldn’t be involved in the celebratory dogpile at the end of the season. I thought that was kind of a crazy thing to say. That fall, the Royals had a celebratory dogpile as American League champions. Only the Giants and Bumgarner kept it from being a World Series champions dogpile. Luke Hochevar trotted out of the bullpen to pitch the 10th inning of a tied World Series game. He threw two scoreless, hitless innings. To the 12th inning the game went, still tied 2-2. It was December 19, 2010. The Royals’ best pitcher, Zack Greinke, asked the team to trade him, basically because they were bad and he was tired of pitching for a constantly rebuilding team. He wanted to win. Among the four players the Royals got were shortstop Alcides Escobar and centerfielder Lorenzo Cain, starters in the 2014 and 2015 World Series. A Royals broadcaster once said he would be a special player, and I ranted to my friend Caleb Barron at a Royals game in early 2014 that he had been anything but a special player so far. Since then he has indeed been special. It was November 1, 2015. 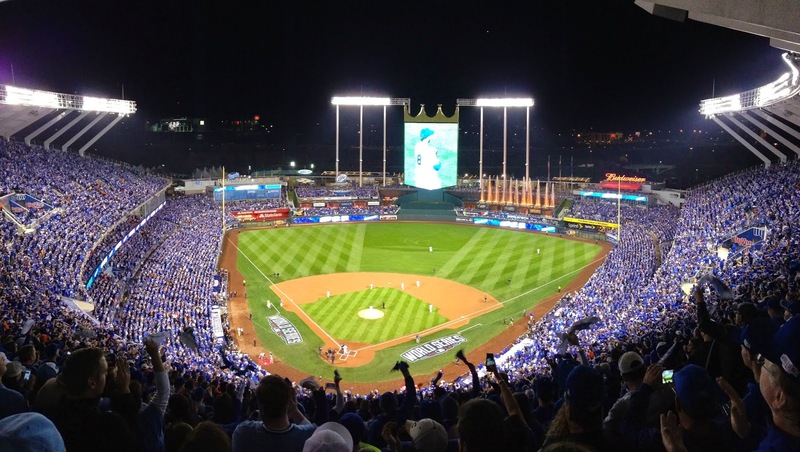 The 12th inning of World Series Game 5 was full Royals. Perez singled. Jarrod Dyson, a 50th round pick, pinch ran. He stole second and then went to third on an Alex Gordon groundout. Then with Dyson at third and one out, Christian Colon, batting for the first time in about a month, lined a single to left with two strikes to put Kansas City ahead. The slow drip of the Royals offense continued. A Mets error. An Escobar double to make it 4-2. The versatile, incredible Ben Zobrist was intentionally walked. With the bases loaded, that special player, Lorenzo Cain, hammered a double to clear the bases. 7-2 Royals. Start the party. The overwhelming Wade Davis closed things out in the bottom of the 12th, and the Royals were World Series champions. Hochevar was the winning pitcher. I was on sensory overload, watching and listening to the FOX broadcast of the final outs while also listening on my phone to Denny Matthews and Ryan Lefebvre call it on the radio. I’d imagined the Royals winning the World Series many times through the years, but none of it prepared me for that moment when they actually did it. I was stunned, euphoric, and so proud of Kansas City and its Royals. There were so many great memories from this championship season. They came flooding back that night, along with memories through my decades as a baseball fan. Going to my first game of 2015 with my mom and dad and sister. Going to a game with Caleb Barron before he moved to Arizona, a far cry from the awful game in 2012 the first time I dragged him to Kauffman Stadium. Going to a Royals-Cardinals game with my great Columbia friends, blue and red enjoying the game together. Watching the Royals win on a perfect spring day at Wrigley Field. All those nights listening to games on the radio or idly watching on TV, the air outside warm and heavy and sweet. My brother’s friend pounding the steering wheel of his cheap car when Dan Reichert gave up a devastating home run in some lost season. Turning double plays and catching fly balls out in the yard as largely forgotten Royals players from a largely forgotten team. Games at Kauffman Stadium from snow flurries to crushing heat and humidity. Postgame fireworks. Postgame ice cream with Kansas City girls we met. Sluggerrr starting rallies with the slow clap. Buck night hot dogs and taking your life into your hands. Hats and shirts gradually worn out. The desolation of that Game 7 loss, which Dayton Moore said “haunted him.” The incredible rally in Game 4 this year against the Astros, facing elimination, when I went on a text rant to Barron just before the Royals punched five straight singles to crawl back from the grave. Listening to Denny call the clinching of another pennant. Going to Game 2 of the World Series with my sister and brother and sister-in-law, when Cueto went the distance and the Royals poured it on, white and blue jerseys a blur on the basepaths, knocking the ball all over the park with two-strike hit after two-strike hit. And at last, November 1, 2015, the night the Royals won the World Series; a night and a season to cherish forever. Or so it seems. Restaurants change. Towers of downtown apartments keep popping up. Mizzou switched conferences. They tore down Shakespeare’s, for goodness sake. But the college town remains fairly timeless, Missouri’s fountain of youth. College kids still arrive every August, their youth and energy giving Columbia a second spring each year. The quad is still regal and Columns-y. Downtown still buzzes on Fridays and Saturdays and really Thursdays, too, because the week is pretty much over anyway, right? And students and alumni still flock to the old bowl south of campus for football games in the fall, like they have for 90 autumns now. We all get older, but Mizzou Homecoming can trick you into thinking time has turned back and you’re a student again. Visiting the familiar old places and taking part in the traditions, the years melt away. Homecoming is a time for reflection and nostalgia. My first Mizzou game was another time, the last game of the 2002 season. Kansas State hammered Missouri, 38-0. It was the last game with a grass field at Faurot. East stadium tower renovations. The official attendance was 47,000 and change. There are links to then, obviously, but life then is almost hard to recognize now. I wore a 49ers shirt to the game and was more into the NFL back then. I had no clue what Facebook would be and how it would shape aspects of my social life in the years to come. 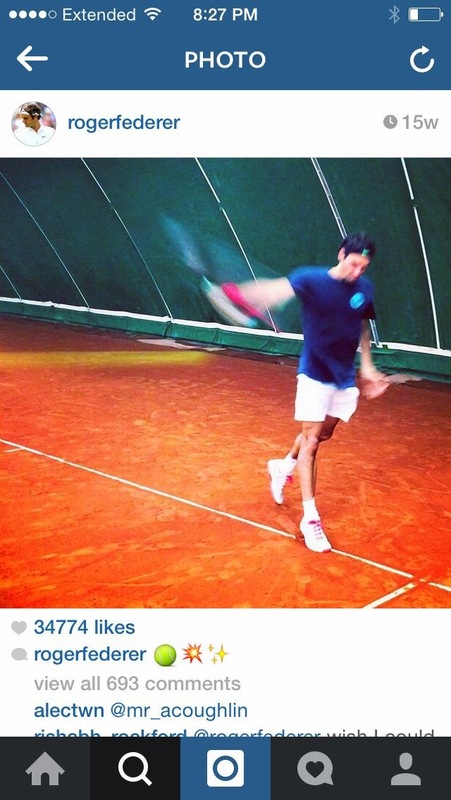 I didn’t even know who Roger Federer was, something that makes the 2015 version of myself purse my lips and slowly shake my head. 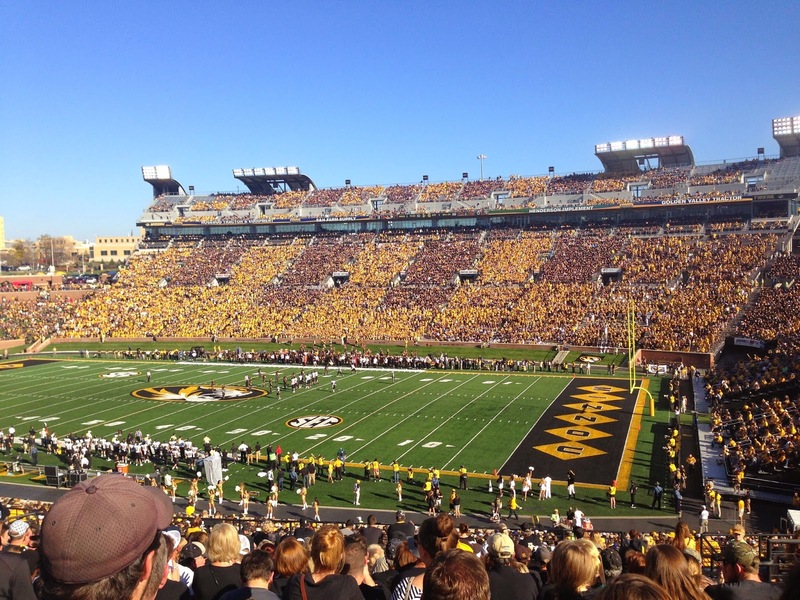 But for all the changes, Faurot Field was still Faurot Field; the same bowl where Missouri fans have congregated in cold and heat and rain and perfect fall days for generations, with the Rock M on one end and trees peeking over the stands on the other end, ablaze with color in the fall. Missouri alum Tom Shatel, now an outstanding columnist for the Omaha World-Herald, once wrote that Faurot was a “portrait of autumn,” and that it was where he fell in love with college football. It’s also where I fell in love with college football, with a tough loss in the 2004 Homecoming game, Game 6, and seeing the Columns for the first time after the game. The football has been wildly entertaining, but college football has always been about more than just games. It’s a lifestyle, memories with friends and family, a good time. It’s road trips to experience new college towns and tailgates and beautiful women milling about and going out the night before games and games in the student section and chatting up girls at halftime and the buzz around town heading into a big showdown and endless idle chatter about how the team will fare. It’s how quiet exiting the stadium is after losses and how festive it is after wins. It’s a steak grilled perfectly and pop in glass bottles as the pregame hours slowly melt away. It’s thrilling and colorful and goosebump-inducing and musical and something you share with friends, friendships you maintain long after college. Game 51, when it rained relentlessly and the stadium sound system wasn’t working and Nebraska came back from nowhere to beat the Tigers. Game 61, when College Gameday came to Mizzou and Gahn McGaffie ran back the opening kick for a touchdown and the Tigers beat BCS No. 1 Oklahoma. 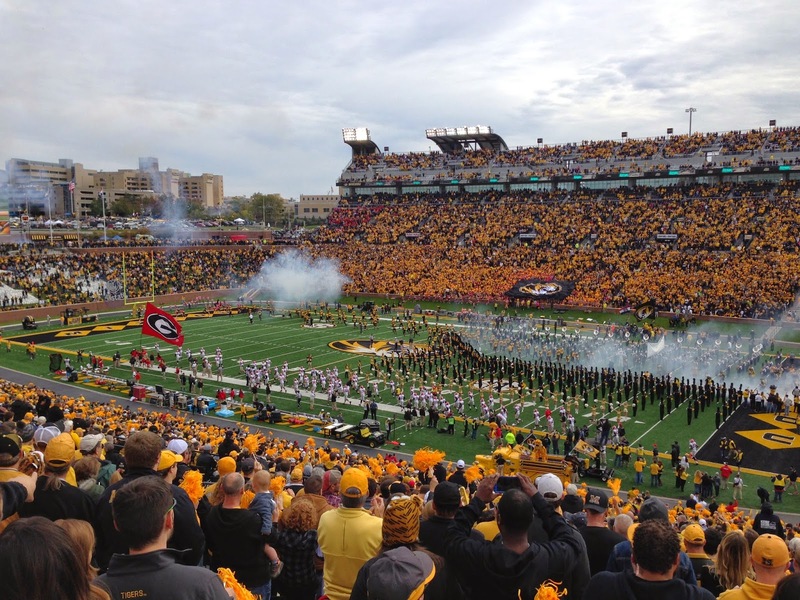 Game 72, Missouri’s first SEC Conference game, against Georgia, a massive change and a departure from 100 years of history; a wild, frenzied scene. Game 84, a road trip to magical little Oxford, Mississippi, with its courthouse square and its Grove and its Rebelettes, and I fell in love with all three and fully embraced the SEC. Game 85, when Mizzou beat Texas A&M to stunningly win the SEC East and “Georgia on my mind” played on the stadium speakers. Game 90, a fantastic road trip to South Carolina for a thrilling win, and Game 94, a fantastic road trip to Tennessee for a thrilling win that included me seeing Tim Tebow the night before and saying, “Hey... Tim!” Game 95, a comeback win against Arkansas to clinch another SEC East title as a gorgeous sunset lit up the sky above Faurot Field and everything was magic and the stadium was rocking. Games 34, 47, 86 and 96, the sound and fury of conference title games, each excruciating losses. 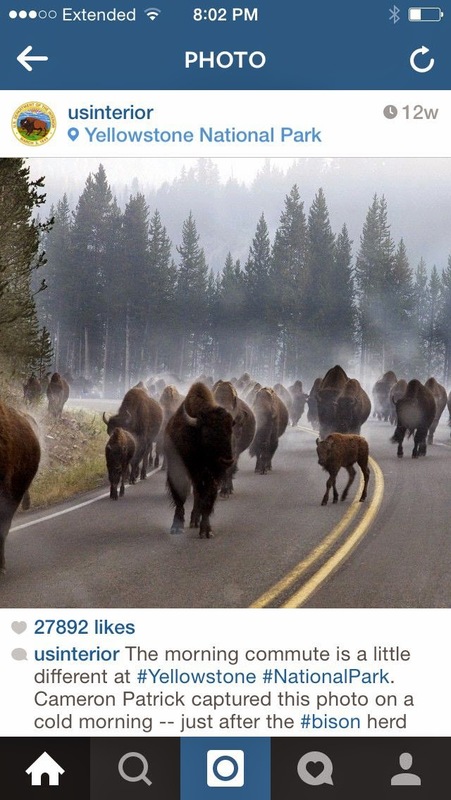 Gary Pinkel got so close to the brass win and was turned away, only to keep chasing. And now, Game 100 under the lights, a big divisional game against those surging Gators. I realize it’s kind of nerdy and perhaps even self-aggrandizing to have kept track of each game I’ve attended, but I’ve learned that as fun as college football is, it’s at its best when you share it with the people you love. I’ve been fortunate to be doing that for several years now. I gazed up at the iconic red marquee over the main entrance to Wrigley Field, one of those moments where you see something in person that you've seen in photographs a hundred times, and it's at the same time like a dream and also more real than real. As I looked around for someone to take a picture of me and my sister, Abbie, with the sign, a tall Cubs fan asked if I would take a picture of him and his girlfriend with the sign. I said sure, and as he handed me his phone, he leaned in close and said, "I'm going to propose, could you take video?" As the voice in my head yelled, "Don't screw this up!" I filmed as he got down on one knee. She overflowed with joy, hand to mouth, then managed a "Yes!" Their friends and family poured out from the crowd and hugged and hugged. Of all the places possible, the guy chose in front of this old ballpark to get engaged. 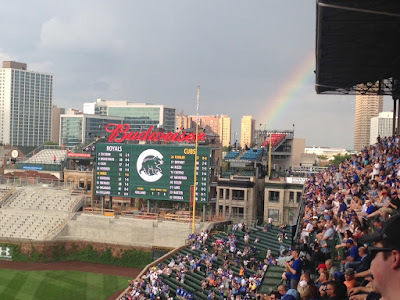 Not many things in our 2015 day-to-day lives link us to 1914, but Wrigley Field does. It remains a gem, a national treasure, an outpouring of culture and history. I held high hopes for my visit to Wrigley, and on a warm, sunny late-May day, the ballpark still exceeded my expectations. My first sight of 101-year-old Wrigley Field reminded me of seeing Wimbledon's Centre Court for the first time; you wander through a charming little neighborhood and then it just sort of arrives. The flag-lined upper tier of the stadium represented a definition of a grandstand, an old-time grandstand you might see at a dusty old county fair. My sister and I ate some lunch right across the street from Wrigley at the Cubby Bear. The Blues Brothers' version of "Sweet Home Chicago" poured from the speakers and a brief shower poured outside and I wondered what this place was like the night of Game 7 of the 2003 NLCS. 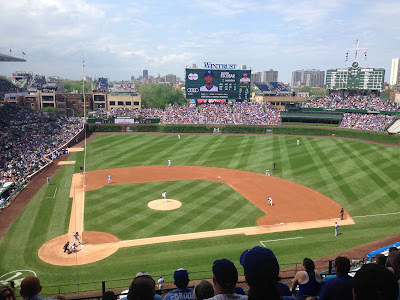 We walked a lap around the ballpark before going in, traversing the relatively narrow thoroughfares separating Wrigley from Wrigleyville, the collection of bars and apartments and rooftops and trees; a cocoon of daydreams and good times around the Friendly Confines. Outside of right field, workers laid brick as part of the ongoing renovations. We went inside. I'm trying not to gush here, but it was a dream. We bought scorecards and strolled down the concourse to left field. I found the Steve Bartman seat and posed for a photo reaching over the railing for an imaginary foul ball, unable to resist recreating the bizarre scene from the 2003 NLCS Game 6. An imaginary enraged Moises Alou was unable to make the catch. We navigated the ramps up to our seat, near the front of the upper deck on the infield. I was struck by how close the front of the upper deck was to the field. A portrait of baseball sprawled below; ivy on the brick wall, the green manual scoreboard in center, the bleachers where the party had already started, trees and rooftops of not-that-tall buildings peering over the bleachers, the very batter's box where the real live human Babe Ruth hit his epic "Called Shot" home run in the 1932 World Series, his 10th and final Series and his 15th and final World Series homer. We bought concessions and gazed at the downtown Chicago skyline from an upper deck patio area. My sister and I filled out our scorecards, pencils scratching names and positions on paper as they had for generations in this neighborhood of Chicago. The first number/name/position, "2 Escobar SS" led off in brilliant sunshine. With the wind blowing out, he smacked a homer into the left field bleachers. I stood and applauded. For all the sights and sounds and smells, Wrigley remains relatively minimalist. The ads are understated. The massive new video boards are unavoidable, but they present information in an uncluttered, simplistic way, with a green background to match the outfield's dominant color. You have to look to find where the score is listed (on the small ribbon video board down the line, between the lower and upper decks). An older Royals fan and his wife were seated to our right. He said that day was his 80th birthday and that he had been to the home ballparks of all 30 MLB teams. Wrigley was his among his favorites, along with Camden Yards in Baltimore. He added that before the game, at the Wrigley Field marquee, he ran into another Royals fan also celebrating a birthday, who happened to be starting leftfielder Alex Gordon's mom. In the second, Gordon belted an opposite field homer to left. 2-0 Royals. A few scattered rain clouds rolled in during the third. The lights came on at Wrigley Field, recalling an old Statler Brothers song, "Don't Wait on Me." ("…When the lights come on at Wrigley Field, I'll be coming home to you!" It used to be code for never, but I guess a songwriter somewhere had an awkward, belated homecoming when the lights finally did come on in 1988.) As far as I could tell, there were only lights on top of the grandstand on the infield. Good luck, outfield. The Cubs got a run in the third, but Royals pitcher Edinson Volquez then started reeling off strikeouts, nine total that day. Salvador Perez crushed a homer to put the Royals up 3-1, and a "Let's Go, Royals!" cheer rang out from among the massive Kansas City contingent at the game. A Cubs fan in the bleachers threw the home run ball back on the field, per tradition. By the fifth, the sun was out in force, heat and humidity chased by cool breezes. I got a good rubber pencil going as I kept score. At one point, a fairly sharply hit foul ball zipped up toward us, but a dad two rows in front of us, hopped up, caught it with one hand, didn't spill his beer, and casually handed it to his daughter. The crowd cheered with approval. In the seventh inning stretch, everyone belted out "Take Me Out to the Ballgame." In the bottom of the seventh, Addison Russell homered to tie the game. More "Sweet Home Chicago." Wrigley was going crazy. The Royals answered with three runs in the 8th on just one hit, a Lorenzo Cain double to the wall. Wade Davis struck out the side in the bottom of the 8th, as he is prone to do. A brief rain shower drifted across the ballpark in the 9th as the Royals added a run in the top half. A rainbow developed down the right field line, near where we could see the tiniest sliver of Lake Michigan. Royals closer Greg Holland retired the Cubs in order in the 9th, with two strikeouts. The Royals had won, and the tradition-bound Cubs, as only the Cubs can do, ran up the blue L flag in center field to let everyone know they had lost a baseball game. Abbie and I met up with my brother, Seth, and his wife, Tiffany, for photos with the field. We spilled out into Wrigleyville after the game for pizza. After two years hosting a Federal League team, the Cubs began playing in Wrigley in 1916. This year is their 100th season playing there. They have, ahem, never clinched a postseason series at Wrigley. Even with much of Wrigley's history coming before baseball's expanded playoffs, that staggers me. The team's last World Series title predates even ancient Wrigley; coming in 1908. The Cubs have lost six World Series at Wrigley, the last of which came in 1945, when a guy who was crazy enough to bring a goat to the World Series supposed cursed the Cubs for not allowed said goat to take in the game. Since then there has been plenty of angst, plenty of lost seasons, plenty of near misses, from the Black Cat Game to the 1984 NLCS collapse vs. the Padres to the Bartman incident, which was just part of a choke job of an 8th inning. 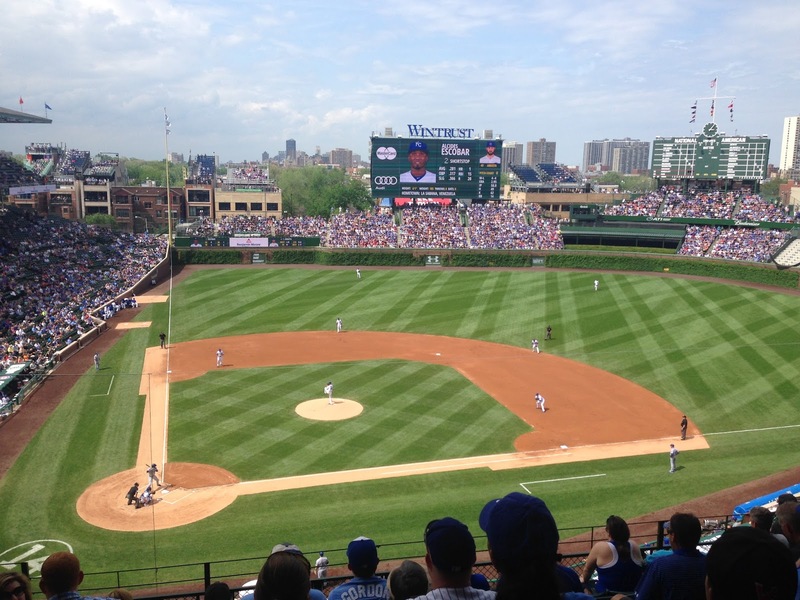 The Cubs have come by their Lovable Losers moniker honestly, but Wrigley Field is no loser. Certainly on a perfect late-May day, the old ballpark still puts on quite a show. Years from now, I might go up to the top of old Kauffman Stadium, sit in Section 421, row ZZ, seat 25, and be transported back to October 29, 2014. Baseball is a game of slow boiling building to a resounding conclusion, so Game 7s stand out. The season is a marathon of thousands of games and incremental success and living to fight another day. Game 7 is finality, those fairly rare occasions, out of hundreds of thousands of Major League Baseball games, either team can win the game and win the World Series. The winners have climbed as high as you can climb in baseball; the losers wear the defeat for the rest of their lives. October 29, 2014, was Game 7 at Kauffman Stadium. It took a remarkable series of events just to get here. Derek Jeter homered in his final All-Star Game to help the American League win and secure World Series home field advantage for the AL. If Game 7 had been in San Francisco, I almost certainly would have watched on TV. As it was, even getting to the game in Kansas City was no easy task. My sister and I spent, ahem, $770.20 each for our top row tickets, bought during Game 6 as the Royals routed the Giants to force Game 7. But the All-Star Game win was merely the first step. The Royals seemed to be fading then, but they got white hot down the stretch, winning game after game with dramatic home runs, crazy speed on the basepaths, and all manner of soft or ground ball singles. The Royals rallied three times against the A’s in the Wild Card game, the best game I’ve ever seen in person. Then they annihilated the favored Angels and Orioles, going 8-0 in the postseason en route to the an American League pennant. After a lifetime of rooting for a team that almost always had losing seasons, to call that pennant unexpected is the height of understatement. Unbelievable is better, and yet there it was, like a dream after decades of monotonous failure. I listened to Denny Matthews, broadcaster since the team’s inception in 1969, call the pennant-clinching out. After a thrilling, back-and-forth series, the Royals and Giants headed to Game 7 tied 3-3. I was at Kauffman for Game 1 with family, and then watched Games 2-6 on TV with friends and family, basically all people who are very special to me. Now it was back to Kauffman for Game 7 with my sister, Abbie. My brother Seth and his wife, Tiffany, had seats in a different area. I was sitting right behind Power Mizzou writer Gabe Dearmond and his son. I once gave Gabe’s dad, Mike, a card at one of his final games covering Mizzou for the Kansas City Star. I took pictures of the stadium before the game, and it all glowed with the gold of an autumn evening. 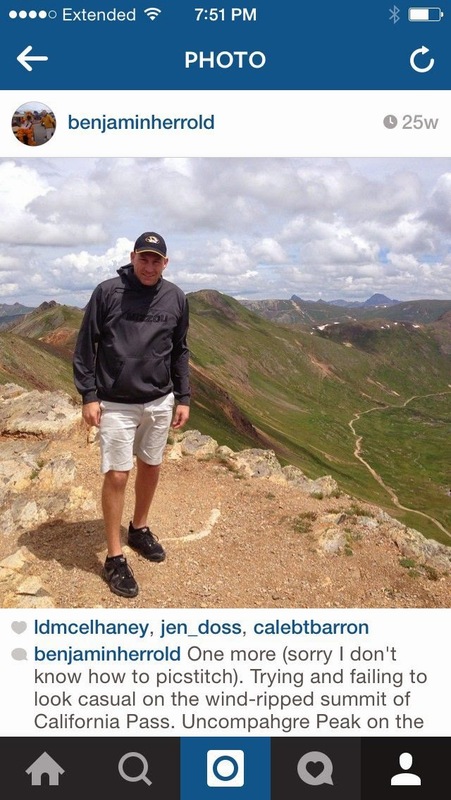 The grass hills behind the stadium, across I-70, were a canvass of gold. The weather was perfect, just a hint of crispness so it felt like classic October baseball. The last Game 7 in Kansas City, in 1985, was a party and a rout. Kansas Citians ecstatically counted down the outs until Denny yelled, “No outs to go!” on the radio. This one would be tighter. The Giants got two in the second. Kansas City answered in the bottom of the second. Alex Gordon doubled home Billy Butler. I screamed, “Run, Billy!” over and over until the not-particularly-fast Butler slid home safely. Gordon later scored on a sac fly. 2-2. After a scoreless third, Royals manager Ned Yost brought starter Jeremy Guthrie back out for the fourth. Many people wanted him to go to with Kelvin Herrera instead, and go two innings each for Herrara, Wade Davis and Greg Holland, Kansas City’s killer bullpen trio. Game 7s are so weird when it comes to pitching. You expect a patten of pitching management for most games, but with no tomorrow, it’s like a long race where the runners almost immediately break form and begin sprinting for the finish. The Giants 1-3 hitters would go hitless, and the 6-9 hitters would go 1-for-9. But the middle three of Sandoval, Pence and Belt were a menace, going 7-for-11. In the fourth, Sandoval, dubbed “the Panda,” singled. Guthrie stayed in. Pence, who looks like Marv from Home Alone, singled. Guthrie stayed in. Belt flew out, but Sandoval tagged up and advanced to third. In came Herrera, needing a strikout or a popup to preserve the lead. He got to an 0-2 count on Mike Morse. But Morse singled to left. Herrera got out of the inning with no further damage, but Royals fans will think about that fourth inning for a long time. With the Giants up one, and Herrera-Davis-Holland essentially shutting down any hope of San Francisco scoring again, the game became all about Kansas City finding a way to score a run. The top of each inning, Royals fans metaphorically held their breath and the remarkable relievers slammed the door on the Giants again and again. After former Royal Jeremy Affelt threw a scoreless fourth, Giants manager Bruce Bochy went back to his bullpen for a familiar face, Madison Bumgarner, on just two days rest after he shut the Royals down in Game 5. Bumgarner is one of the greatest pitchers in World Series history, and even in the relatively early spot of the fifth inning, his loping in from the bullpen to pitch was foreboding. The crowd almost gasped. Then, as Kansas City had done all season, the team and fans and city and region steeled itself to somehow get the job done. The first hitter to face Bumgarner, Omar Infante, singled, and the crowd thundered. But then, beginning with an Alcides Escobar sac bunt, Bumgarner retired the next 14 batters he faced. Inning after inning the Royals hope waned. 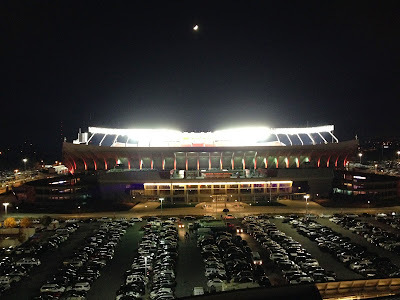 The orange glow from the Midwestern sunset faded behind the red-lit Arrowhead Stadium I could see from my seat. 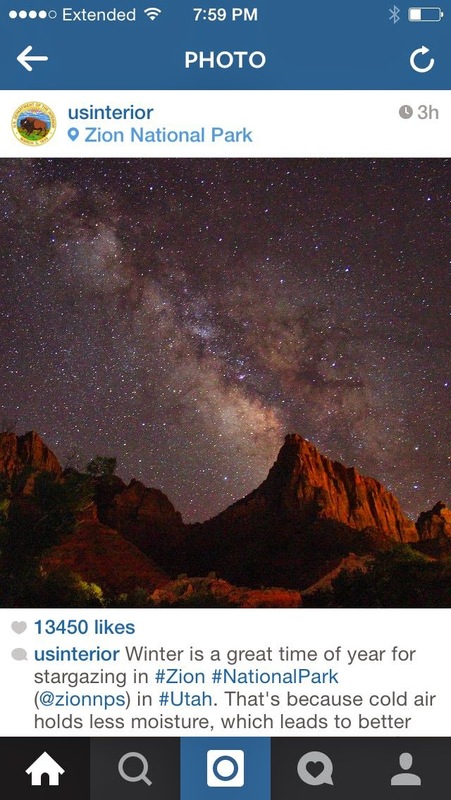 A rising crescent moon took its place in the late-October night sky. The crowd roared and cheered... and Bumgarner set the Royals down in order. It was getting late. Before the eighth, Kansas City native Eric Stonestreet appeared on the massive video screen in center field, as his character Cam from “Modern Family,” with the actor who plays Mitch, both wearing Royals hats and encouraging the fans to get loud. The crowd roared and cheered... and Bumgarner set the Royals down in order. It was becoming one of the most remarkable athletic performances I’d ever seen. Panic and anxiety and hope hung thick over the stadium. It was as if each inning the team and fans and city and region and even a nation yelled and charged at some great seemingly immovable obstacle, surging ahead with all the hope and courage and might available, only to be beaten back again and again. Yet they kept charging, with the final, frantic push of the night. Eric Hosmer, who we scarcely dared to dream about batting in the World Series when he was a top prospect and the Royals were awful, struck out. Billy Butler, beloved “Country Breakfast” in his final Royals at bat, popped up to first. Then... the great immovable obstacle wobbled. Alex Gordon, who grew up in Nebraska and has a brother named Brett in honor of the Royals’ greatest player, dropped in a single. The Royals had life, and then some. The ball skidding past the Giants centerfielder, and Kauffman Stadium erupted as the ball bounded out to the wall. I yelled and jumped with all I had as Gordon raced around the bases. It was a wild, screaming, dizzying few seconds; literally so for me. As Gordon rounded second and headed for third and the massive upper deck seemed to be shaking and I had yelled out all my air, I suddenly felt very light-headed and maybe slumped just a bit. Whatever it was, I’m pretty sure you’re not allowed to faint during the pivotal moment of Game 7 of the World Series, so I managed to stay upright. Royals third base coach Mike Jirschele held up Gordon at third as the Giants were getting the ball back to the infield. It was almost certainly the right call, as only Bumgarner’s dominance was the only reason to even think about sending Gordon. It would have taken a severely botched play for him to score. Still, the play was rehashed over and over, like I’m doing now, and it won’t be easy to forget. Salvador Perez battled gamely as Bumgarner kept throwing pitches up. Perez had been hit by a pitch earlier and probably would have come out of any other game. Had he hit a homer, it would have been one of the biggest in baseball history. He did not homer. Perez popped up in foul territory on the third base side. I effortlessly remember seeing Sandoval move under it and the exact moment I knew the Royals would lose the World Series. Sandoval caught the popup, and the Giants poured out onto the field. 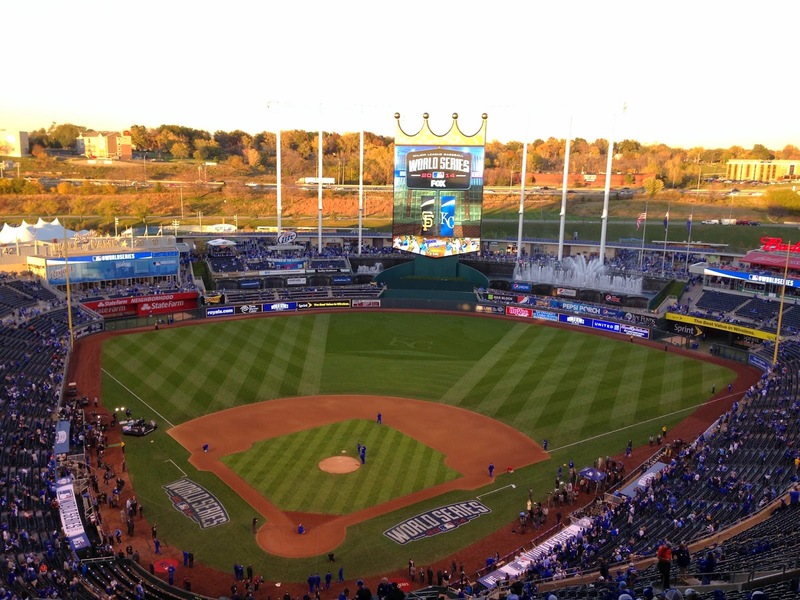 Some fans chanted “Let’s go, Royals!” in appreciation for the remarkable season. Many of us just watched the scene in silence. I remarked to my sister we had seen on the other greatest World Series performances with what Bumgarner did. But she summed up the situation: we would have rather seen the Royals win. Still, the Royals run gave us some great memories: that win over the A’s and my grandma calling me after, long after midnight to tell me she’d stayed up to see it all; sharing the playoff wins with my favorite people on earth; finally getting to experience the postseason; when the Royals won the pennant and I got congratulatory messages from France and Argentina and Iowa and my mom and dad. The Giants may have the World Series title; well earned, and congratulations to them. But I have some wonderful memories, and the American League pennant, and my baseball team is alive again. I’m aware we won’t do this forever, but sometimes it seems like we might. Such is the familiarity when you’re in love with college football and your team has had the same coach since Bill Clinton was President. Since Gary Pinkel was hired to coach Missouri in late 2000 after another lost season in Columbia, for 14 seasons now, Pinkel has poured his time and passion and soul into winning a conference championship at Missouri. For roughly a similar duration, I’ve swung for the fences, trying to find the love of my life. We’ve each had some great moments here and there, made wonderful memories, although those loftiest aspirations have remained unfulfilled. But the chase continues. Pinkel’s loss in December’s SEC title game dropped him to 0-4 in conference title games. But in some ways, this might have been his best coaching job yet, cajoling his team to the furthest reaches of its potential. Perhaps it’s this way for a lot of Tiger fans by now, but Gary is like an old friend. An occasionally surly friend whose smile could use some practice, but still familiar. We’ll keep striving, with each year feeling familiar, but the wonder returns fresh and vibrant with each new beginning, with each attempt. This year’s grand production began in South Carolina, with the Gamecocks hosting Texas A&M in the kickoff game and myself watching on TV, eating delivered Bangkok Gardens fried rice with chicken. It was late August and approximately 47 billion degrees in Columbia, South Carolina. Weeks later, when I was in South Carolina, the girl dipping up my ice cream on campus said it was “appallingly hot” for that opening game. Hindsight would show it was not as big of a game as I thought it would be, as both teams had pedestrian seasons. But A&M routed South Carolina and got people excited. The game was the first on the new SEC Network, with Brent Musberger on the call. We were underway. Missouri gradually built early momentum. We didn’t know what to expect losing a quarterback, most of the outstanding receiving corps and two outstanding defensive linemen. But the Tigers beat South Dakota State on a gorgeous day at Faurot, debuting the new East stadium tower. My sister, Abbie, drove down for the game. Missouri then won at Toledo and at home against UCF, in a game that shockingly would have finished in less than three hours if not for a late turnover and defensive touchdown by Missouri. At 3-0, the Tigers just needed to beat Indiana at home to be undefeated rolling into SEC play. Indiana would prove to not be very good in Big Ten play and go 4-8 overall, but somehow the Hoosiers just outplayed the Tigers and won 31-27. I recoiled from the scene like I imagine most girls do when guys include a wink face in a text message. It was an almost unthinkable result that left Tiger fans questioning how this team could compete in the SEC if it couldn’t beat Indiana at home. With the wound of the Indiana defeat still fresh, I got in a car with three friends, Brent Foster, Seth Maberry and Chris Coffman, to drive - yes, drive - to Missouri’s game at South Carolina the last weekend in September. It’s a long drive, folks. We left Thursday night to get a leg up. Through Missouri, through the clusterwhoops of road construction in Illinois, through Kentucky, into Tennessee, where we stayed in Lebanon for the night. Then Friday was through East Tennessee, slicing through the mountains and into North Carolina, finally down into Columbia, South Carolina. We were on the other side of the Appalachians, but it could have been the other side of the world. Palmetto trees, like a normal tree wearing jousting armor, popped up everywhere. We headed out on the town Friday night. One of the great things about college football fandom is that it’s so darn participatory. You tailgate. You make noise at the games. You talk trash. You go out on the town on Friday night before the game, you feel the town buzzing about the clash coming the next day. After thorough scouting, including a twitter exchange with sportswriter Kent Babb, we ate dinner at Yesterday’s, in the Five Points region. For the first time, I had steak and cornbread at the same meal. Dixie knows what it’s doing. After the meal, we asked the cute hostess where she would recommend we go for post-dinner revelry. She was, however, under 21 and could not give a bar recommendation, certainly not on the record. She asked another worked at the restaurant who pointed us in the right direction. 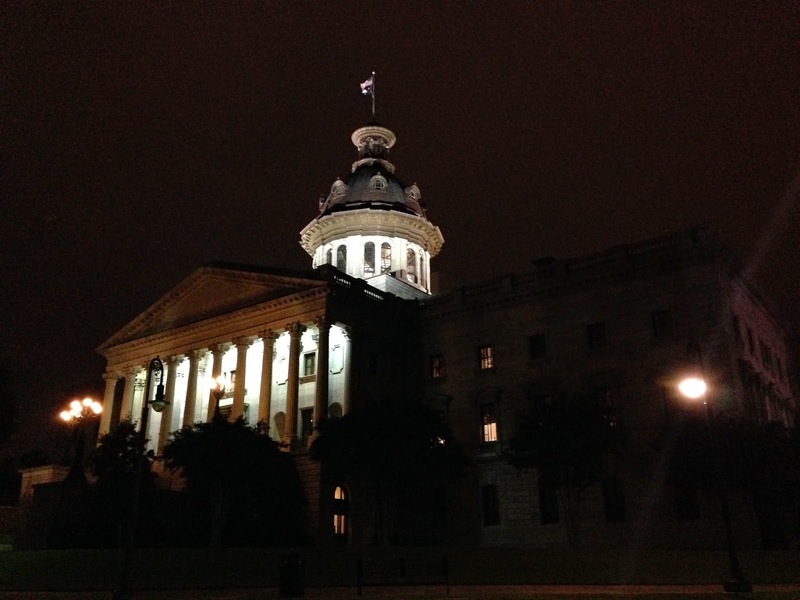 We checked out the capitol grounds, the birthplace of the Confederacy. It was a Southern statehouse straight out of central casting, with a Confederate memorial and flag, a Strom Thurmond statue, and generally large amounts of vegetation and overgrowth (Spanish moss?). There was even a marker where the old statehouse stood, until “Sherman’s troops” burned it during the war. We also looked around the campus and saw where the students were camped out on “the Horseshoe,” waiting for College Gameday in the morning. Giant cardboard goalposts depicted Missouri’s infuriating, double-overtime loss to South Carolina last year, when a short Tiger field goal hit the upright. We then hit up the Carolina Ale House on Lady Street, near the Congaree River. The Royals (!) dominated the TVs as they had ended their playoff drought that night. I had a root beer float because why not and we held court on the rooftop patio until the wee hours. It was a late night, but a college football gameday serves as an adrenaline boost. After lunch in Five Points, we headed to campus to look around. It was the Southern college campus from central casting. Perfect weather. Giant old buildings with columns. So much vegetation. Accents and fancy gameday attire. An unending procession of gorgeous Southern women with dresses and skirts and tan legs and here’s my wallet take whatever you want. We checked out the bookstore, where South Carolina students were reading classics such as the Hunger Games trilogy. We then found the student center, where Maberry and I hopped in a long line for ice cream. We chatted with the girls in line ahead of us. We got accents, but not what we expected. One was from Australia; the other was from England. We tried to tell the Australian where on the globe Missouri is located, and we chatted with the English girl about Scotland’s recent vote to stay in the United Kingdom. We’re worldly folk. When it was our turn to be served, the girl dipping our ice cream commented on how lucky we were to experience this beautiful weather for our visit, how that first game with A&M had been “appallingly hot,” and that she had not wanted to wear any clothes when it was that hot. We sat at a table by a glass staircase to eat the ice cream, using South Carolina men’s basketball rally towels as napkins. The staircase and all those super hot South Carolina girls in skirts walking up and down the staircase was quite a combo. Eventually, the lecherousness of the student center gave way to football time, and we headed to the stadium. Williams-Brice Stadium is located on the South Carolina State Fairgrounds, a few miles from campus. It’s an imposing structure, looming above the surrounding flat terrain, its great white light standards soaring above like wings. We had to walk through most of the fairgrounds en route to the stadium, and it was quite a scene. 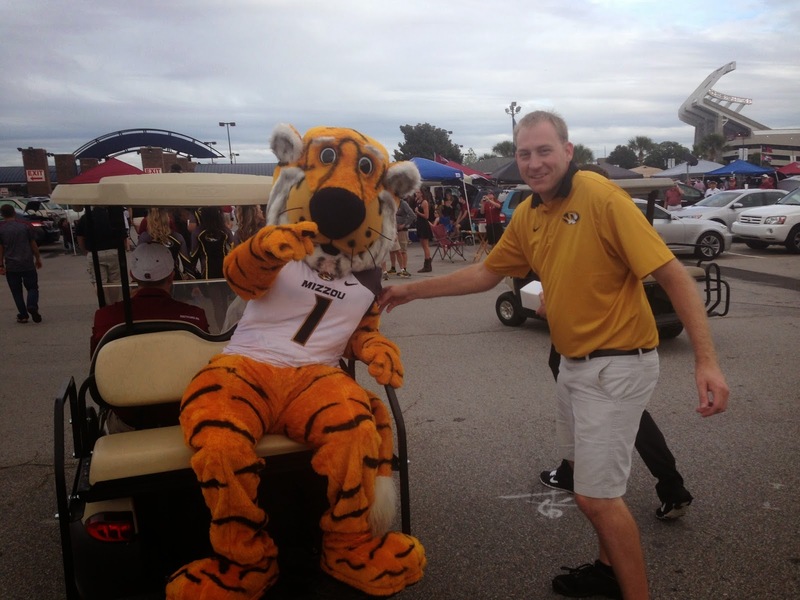 We ended up walking behind the Mizzou cheerleaders and Truman the Tiger, who rode on a goal cart. Passing through one fairly close quartered area, South Carolina fans began howling at us and Truman. Maberry waved his arms, egging them on. It was like notorious criminals being led to court past an angry mob. It was fantastic, good-natured, exhilarating. One Gamecock fan said, “We’re no Indiana, but we’ll do our best.” Just masterful trash talk. We saw Cocky, the South Carolina mascot, enter the stadium. We entered by the “Cockabooses,” old railroad cars next to the stadium converted to tailgating use. Williams-Brice is a grand old child of the Great Depression, a Works Progress Administration project. The interior was a series of narrow concourses, vendors and a tangled network of steel beams calling to mind Game of Thrones’ Iron Throne. In the men’s restroom, where the urinal should be you step up on a ledge and relieve yourself against a wall. I’d have taken a picture but didn’t want to end up on a list. But despite the quirks, or maybe in part because of them, it is one of the great venues in the SEC. 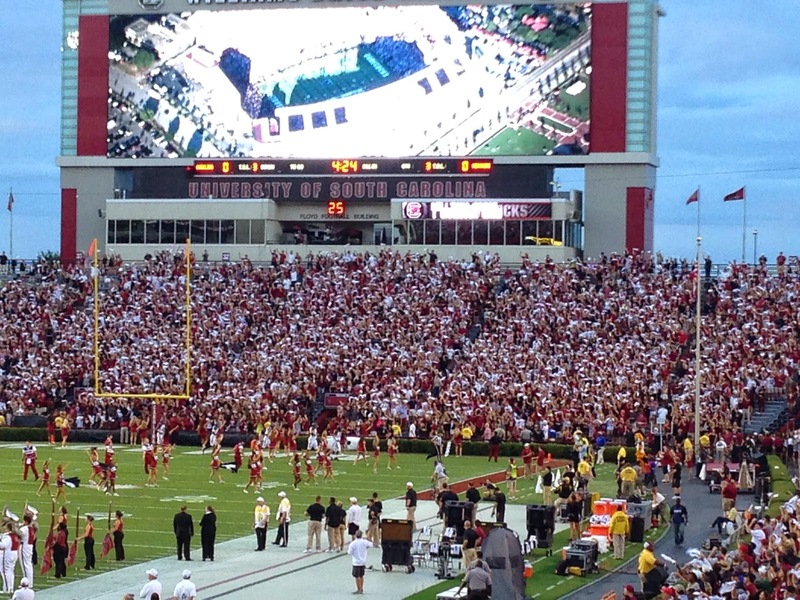 Crowds at Williams-Brice are fierce and loud, especially for this game, as South Carolina’s win over Georgia had made the Gamecocks the presumed front-runner in the SEC East Division. Naturally, we were tucked in the lower level, more or less under the east upper deck. By the time South Carolina ran out on the field to “Also Sprach Zarathustra,” the theme from “2001: A Space Odyssey,” a South Carolina tradition, the stadium was a cauldron of sound; delirious, roaring, frenzied. It was, wonderfully, a 7 p.m. kickoff. For another tradition, fans there wave white rally towels, especially before kickoff while “Sandstorm” screams from the loudspeakers. Seconds before kickoff, with much on the line, the stadium was a bouncing sea of white rally towels. SEC football, man. Missouri took the early lead after South Carolina coach Steve Spurrier, a swaggering legend with a sharp tongue and taste for taking risks, went for it on fourth down in his own territory and didn’t get it. Missouri was up 7-0, but then the offense went on hiatus, punting 10 possessions in a row at one maddening point. On third downs, the crowd was especially loud, aided by an earsplitting rooster crow booming from the loudspeakers. It called to mind the phrase “abominable noise” from Lord of the Flies, shortly before Simon meets his demise. Missouri’s defense stood tall, but South Carolina gradually churned out some points while the Tiger offense kept flailing away. With South Carolina up 13-7, Pharoh Cooper caught a touchdown pass to put the Gamecocks up 20-7 in the fourth quarter and seemed to put the dagger in the Tigers. Spurrier oddly did not go for two after the score to go up 14, but it seemed like a moot point. But then, unable to yield another inch, the resilient Tigers made a charge. Missouri ripped off a shocking, three-play touchdown drive to draw within six. The Tigers got the ball back and embarked on a madcap, nine-play, 51-yard drive that saw two do-or-die fourth down conversions, the second of which was a Russell Hansbrough one-yard touchdown run. Our pocket of Mizzou fans in the corner erupted. I hugged Brent and lifted him off the ground, only later learning I’d knocked his sunglasses off his head in the process and they had been broken. The defense held one more time and the Tigers had completed the heart-stopping 21-20 win. 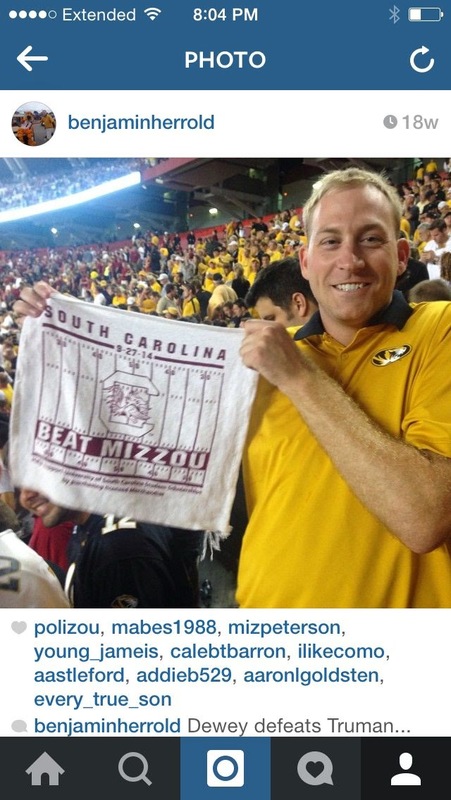 I held up a “Beat Mizzou” rally towel for a “Dewey Defeats Truman” picture, like a good Missourian would do. It was a long drive home on Sunday, to say the least, but I more or less flew all the way home. Bring on Georgia. Thankfully, Missouri had a bye week between South Carolina and Georgia. I visited my parents on the off week. After a family trip to the apple orchard, I settled in to watch Alabama at Ole Miss on CBS, with Verne, Gary and Allie. It was the week Katy Perry stole the show in college football. She was the celebrity guest picker for College Gameday in the Grove, and she killed it. She went to the game, saw Ole Miss spring the upset, then rushed the field with the frenzied students. That night, Twitter was ablaze with video of Perry chugging a beer in an Oxford bar then jumping into the crowd. College football is the best. For all the lunacy and greed among people running the sport, unscripted, organic moments still win the day. The next Saturday, Oct. 11, was massive for the Show-Me State. Missouri hosted Georgia in a huge SEC East game at noon, then the Royals and Cardinals had playoff baseball games later that day. Georgia smoked Missouri, plain and simple. 34-0. With star running back Todd Gurley suspended for NCAA violations, Georgia hammered away again and again with backup Nick Chubb, who went Heisenberg on the Tigers. (Did I use that right, Breaking Bad people?) Missouri’s offense was a mess. Quarterback Maty Mauk, who had endeared himself to Tiger fans with his “Mauktober” run in 2013, had a terrible day. It was the first time in 12 years Missouri had been shut out. But as would frequently be the case for this winsome Tiger team, Missouri got back up after being leveled and went to work. Yes, the team had its flaws, especially on offense, but they were going to wring out every last drop of ability they had to pour into this season. Missouri went into the Swamp and destroyed an imploding Florida team, 42-13. The Tigers had a paltry 119 yards of offense, but they scored four non-offensive touchdowns (kick return, punt return, fumble return, interception return) to win easily. 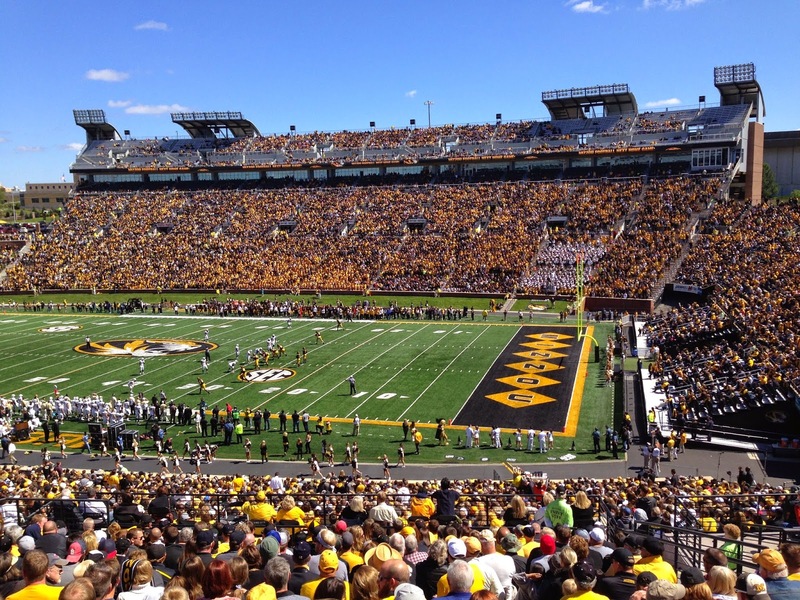 Missouri then faced Vanderbilt for Homecoming. In a thoroughly ridiculous and wonderful development, the Royals were playing in the World Series that weekend. My friend Caleb Barron was in town for the game, along with his girlfriend from Phoenix, Jenny. She had been to Columbia once before, in the summer. Summer in Columbia has a nice, chill aura. But the old town is at its best on football game weekends, and it is in full bloom for in October, particularly for Homecoming. On Homecoming, Columbia represents all the tradition and nostalgia and beauty and passion you could want from a college town. The windows of downtown businesses are painted black and gold, alumni pour back into town, and the trees glow with autumnal color. We had a classic Homecoming Friday; dinner, Greek Town for house decs, and then downtown. 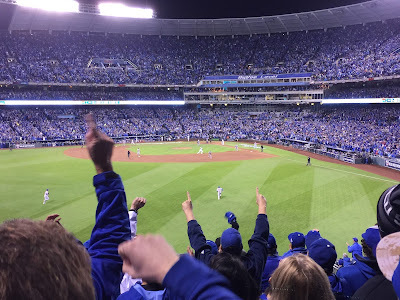 We went to Shiloh, where I saw the Royals win and move within two games of the world title. As you’d expect, we saw a lot of people we knew at Shiloh, chatting and reveling until closing time. After some surprisingly warm tailgating the next day, I was expecting a fairly comfortable win over Vanderbilt, which was having a pretty miserable season. 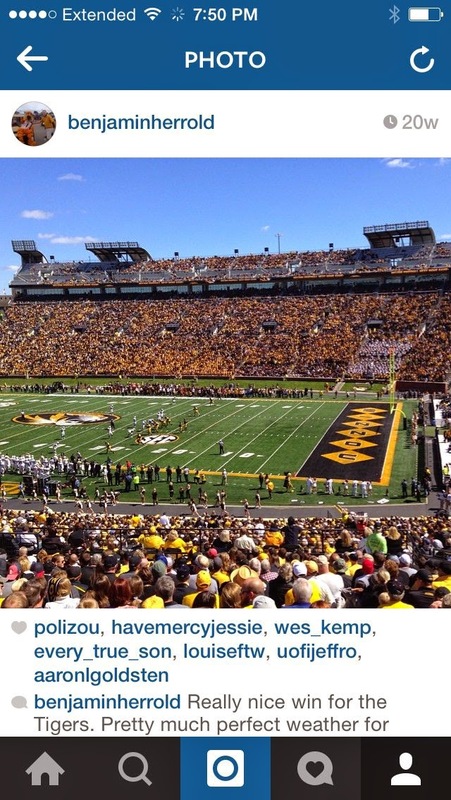 The crowd at Faurot was striped black and gold. Still, Missouri’s offensive shortcomings were on full display in the long, slow game, as the Commodores were within a score into the fourth quarter. It was late in the game and afternoon, as evening sunlight angled across the trees that peek over the south end zone stands, that Missouri finally put the game away and won, 24-14. The next week, Nov. 1, was very much not surprisingly warm, as November showed up with teeth for Missouri’s home game with Kentucky. The Wildcats were getting better under Mark Stoops, fulfilling the potential I had mentioned when a Kentucky fan took my picture at Mt. Rushmore the summer before, although he was probably wondering why I was talking about Mark freaking Stoops and not John Calipari and his arsenal of NBA talent on the basketball team. Just as my light gloves were no match for the persistent chill of the afternoon and evening game, Kentucky was not ready for a defense like Missouri’s. The Tigers choked the life out of the Wildcats, leading 20-3 in the fourth before a late Kentucky score made the final margin 20-10. The win improved Missouri to 7-2, 4-1 in the SEC, but the real drama was down in Jacksonville, where bumbling Florida got it together and steamrolled Georgia. Missouri now controlled its destiny in the SEC East race, despite the humiliating loss to Georgia. When told of that result in the postgame interview, Pinkel chuckled. The situation for the last three games of the regular season ended up being pretty simple, with the hindsight of knowing Georgia would win at Auburn on Nov. 15. Missouri had to win its last three games to win the East and go back to Atlanta for the SEC Championship Game. Three games, two on the road, no margin for error. That final surge was a tightrope walk on a windy day, a swordfight on the edge of a cliff. Missouri was not a dominant team, and the road was tough, but they dug deep to try to find a way. It would be one of the more remarkable things I’ve seen a Mizzou football team do. After a bye week on Nov. 8 that allowed me to relax and enjoy the latest installment of the Alabama-LSU blood feud, this one an overtime classic at spooky old Tiger Stadium, Missouri headed to Texas A&M to take on the Aggies. Due to the renovations at Kyle Field taking place in phases, the Home of the 12th Man’s capacity was higher for the 2014 season than it would be after all renovations were complete. It also made this the biggest crowd to ever watch a Mizzou football game, 104,756 people including former President George H.W. Bush, and one collie dog, A&M’s mascot Reveille. Aggies do weird stuff like declare Reveille the highest ranking member of the school’s corps of cadets and start their fight song with, “Hullaballoo, Caneck, Caneck; Hullaballoo, Caneck, Caneck...” But their zealous passion makes for a supportive home crowd, and Mizzou was the underdog. The Tigers trailed 13-6 at the half. Home for deer season, I was watching at my brother and sister-in-law’s new house, along with my sister, stress eating Ritz crackers and York peppermint patties and stress drinking Mt. Dew. It’s a wonder I slept in the 48 hours following that onslaught. But with Georgia crushing Auburn and the season hanging in the balance, Missouri went to work in the rainy night, hammering away on the ground against A&M’s vulnerable defense, taking a 34-20 lead into the fourth. The Aggies drew within 34-27 and had the ball in the closing minutes before Missouri’s defense made a dramatic stand near the goal line on fourth down to preserve the win. Another round of York peppermint patties for the house! Next came a road game at resurgent Tennessee, a program on the rise under Butch Jones. Granted, their “surge” was beating Kentucky and stumbling South Carolina. Had Mizzou achieved that feat, the SEC Establishment would pat its head and send the Tigers to bed with a nice glass of milk, like the Grinch does with Cindy Lou Who. 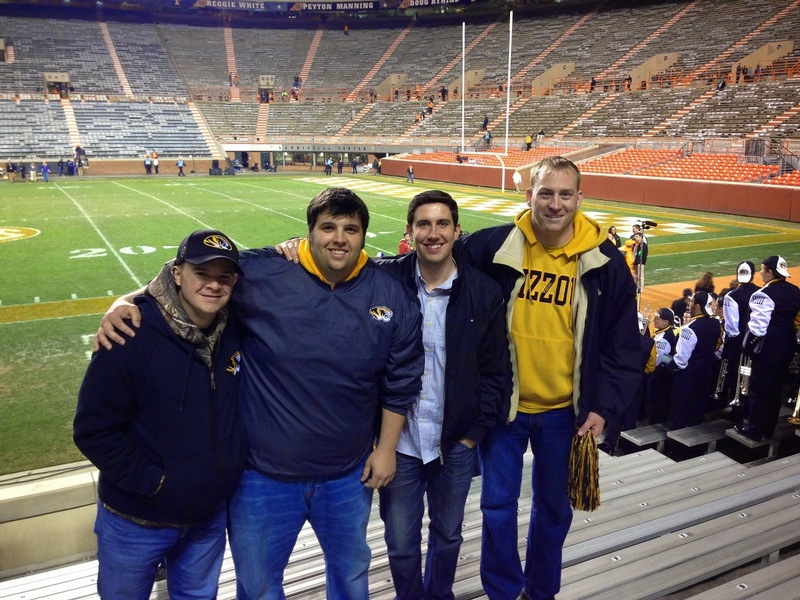 But this was a big game, and the Tigers were two steps from the SEC East title, and four friends, Maberry, Coffman, Nathan Yount, Caleb Barron, and I were road tripping to the game. It’s a special thing to be kicking off a weekend, heading into Dixie with its charm and fervor and those great college football shrines. We left St. Louis early Friday morning, early enough we had a late lunch at The Pharmacy in Nashville. Great spot. Nice burger with an off-the-charts bun. Had a glass bottle of Coke with it. 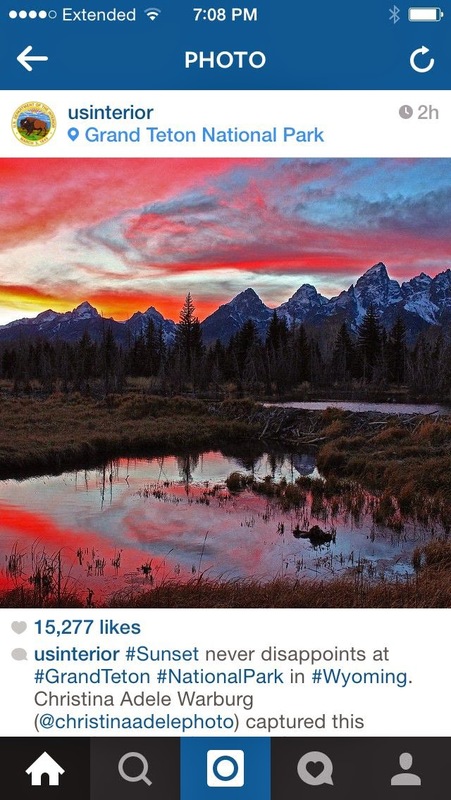 Barron Instagrammed the restaurant’s sign and created the hashtag for the trip, #GimmeThatSECEast. Then on to Knoxville. 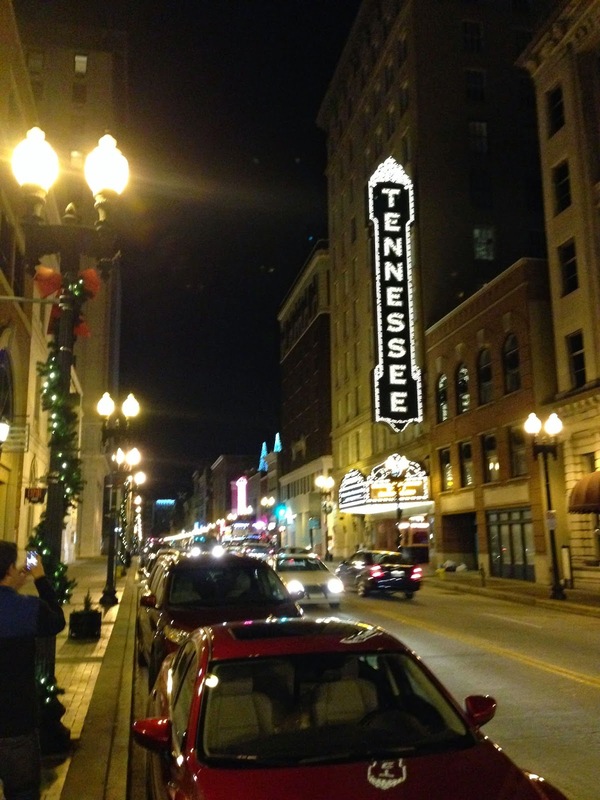 Knoxville is a fantastic college town, nestled along the Tennessee River with views of the Great Smoky Mountains. We were within walking distance of everything because we went big on the hotel, staying at the downtown Hilton. We were on something like the 16th floor, a floor or two from the top. There was supposedly a rooftop pool, and even though it was late November, when you’re staying at a Hilton, you check out the rooftop pool. In what seems obvious in hindsight, the pool is on the top of the part of the hotel that is only a couple of floors high. But we checked out the highest roof, atop the 17 or 18 floors of the hotel. For some reason, the door out onto the roof was propped open, so we scampered out into the chill. There was a guard wall at the edge, but we were basically Batman, perched on the roof of a downtown tower, ready to swoop down on criminals before they could abscond. The view of Knoxville in the evening, all lit up, was breathtaking. That or the late November air was. Knoxville was a happening spot that weekend. The Saturday before Thanksgiving is often a slow week for big college football games, especially in the SEC. The main broadcast crew for ABC/ESPN, Chris Fowler and Kirk Herbstreit, were in town to call the game, as was SEC Nation, the SEC Network’s traveling pregame show. We ran into one of the SEC Nation analysts, who was staying in our hotel, a certain former Heisman Trophy winner. I was getting ready to ride the elevator down to the lobby to go get dinner, when out stepped Barron, who had been checking out the hotel’s concierge room. I also saw a familiar face in the elevator car Barron had came out of. “Hey, Tim!” I said with my typical smoothness. He smiled and said, “Yep.” The elevator doors closed. As high as our room was, his was higher. We caught the next elevator going down and walked to Calhoun’s on the Tennessee River. The monolith of Tennessee’s massive Neyland Stadium loomed in sight of the restaurant. The surf n’ turf was on special, and it was some excellent steak and shrimp. The waitress originally brought Barron’s wine in a plastic cup, but he did some negotiating to get a glass drinking container. This was our pregame Friday night meal out, after all. We again accidentally asked an under-21 restaurant worker which bars/establishments to go to after dinner. But she gave some off-the-record recommendations and pointed us in the right direction. Walking up the steep hill from the river proved to be a much more difficult task after a big meal, but next thing I knew we were sprinting up the hill, relatively speaking. We hit up a Scottish bar and then another spot a little closer to our hotel. High on life and confidence, I was messaging a girl about coming with me to the SEC Championship Game. (She had to work that weekend.) It was a big swing, as she’s quite hot and smart and, oh by the way, Missouri still had two tough games to make it to the title game. The next morning Knoxville threw itself into gameday gear. Orange everywhere. Multiple groups, from a carload of sorority girls to older men in overall-based getups, asked us, “Are you ready to lose today?” I just smiled or chuckled, walking with the smug swagger of a man whose team had won the division last year and was leading the division race this year. We walked all over Tennessee’s beautiful-but-hilly campus, walking up to The Hill and around Neyland and Thomson-Boling Arena. We grabbed a late lunch downtown, stopped by the hotel and saw a bit of an abomination of a Virginia Tech football game that went to overtime tied at 0. Then we hit up the alumni tailgate and headed toward Neyland for the 7 p.m. kickoff. We watched the Pride of the Southland band march into Neyland among a throng of thousands of fans, playing “Rocky Top” over and over and over and over. It was a magnificent scene, topped only by the scene inside the stadium. Tennessee is probably the second-most successful SEC program, after Alabama, and that pride and tradition was on full display on this November night. In a less traditional move, Tennessee has started playing Lil’ John’s “Turn down for what...” before every opponent’s third down. (Get it, THIRD down for what.) The song played over and over as the third downs piled up, and to this day when I hear it I’m back in Neyland and the crowd is getting loud. The Tigers converted all three, then punched in a touchdown on a one-yard Marcus Murphy run. “Touchdown for what!” a fantastic Mizzou fan across the aisle from us yelled. Tennessee would later take a 10-7 lead on a fake field goal touchdown, which prompted one Tennessee fan to fall out of the stands celebrating. ...retook the lead, then Tennessee tied it at 13 at the half. You could feel the tension in the second half. At least I could. I really wanted to go back to Atlanta for another SEC title game, and the Tigers had to have this one. The crowd was thunderous, willing the Volunteer defense to make the stop, the sound echoing out of the massive, 93-year-old stadium, across the Tennessee River and into the Appalachian Mountains. 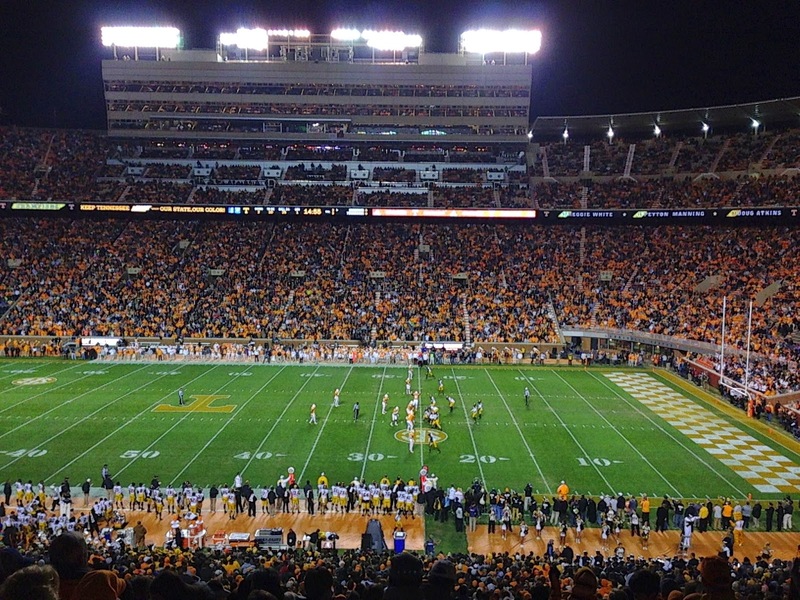 Missouri quarterback Maty Mauk dropped back and heaved a pass into the chilly Tennessee night. Deep down the field, Tiger receiver Jimmie Hunt leapt up, caught the pass, and outran the Volunteer defenders into the end zone for the touchdown. The big crowd fell silent, except for a pocket of black-and-gold clad Missouri fans celebrating in the corner. Missouri added another touchdown, missed the extra point, then held off a late Tennessee rally to win, 29-21, and move within one victory of winning the SEC East Division. 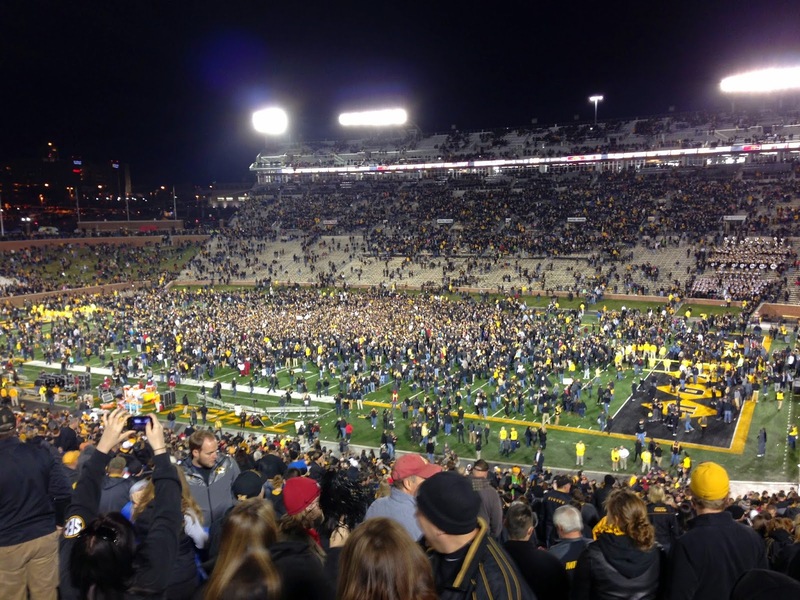 Missouri players ran over to the Mizzou fans to celebrate. Euphoric, we headed down the steps for pictures by the field. I heard a crash, looked over, and saw two Tennessee fans brawling on the bleachers. SEC football Saturday nights, baby. We went up in the Sunsphere to celebrate and take in the view, and a charismatic fellow up there bought us drinks and told stories about coming to the Sunsphere when the Wold’s Fair was going on, the original purpose for the structure. As we got off the elevator at the bottom of the Sunsphere, two women got on, and I can’t say with 100 percent certainty they were not hookers. Back at the hotel, we bought a pizza in the lobby, went up the our room, and I laid there, unable to sleep for a while, fired up about the win and thinking about how lucky I was. All that remained was a Black Friday game with Arkansas at Faurot, with a trip to Atlanta on the line for the Tigers. Driving back to Columbia Thanksgiving night from my family’s gathering in Kansas City, I caught the LSU broadcast of their game with Texas A&M on the AM radio. It felt like stepping back in time, the familiar crackle of a booming nighttime AM station, an SEC clash in some huge stadium somewhere, being able to feel the passion dripping from the broadcasters’ call of the game. It was the day after the holiday, but Columbia was ready. I went to the radio station tailgate with Brent Foster, his brother and his dad. They served ham sandwiches. It had to be pork on the day the Tigers played the Razorbacks. Arkansas was hotter than a $2 pistol coming into the game, and the Hogs’ industrial strength defense was on display. Missouri’s only first-half scoring were two 50-plus-yard field goals by Andrew Baggett, and the Hogs led 14-6 at the half. That lead held up into the fourth quarter. After coming so far, the adventure and achievement of a return trip to Atlanta seemed to be fading with last of the late autumn day’s sunlight. 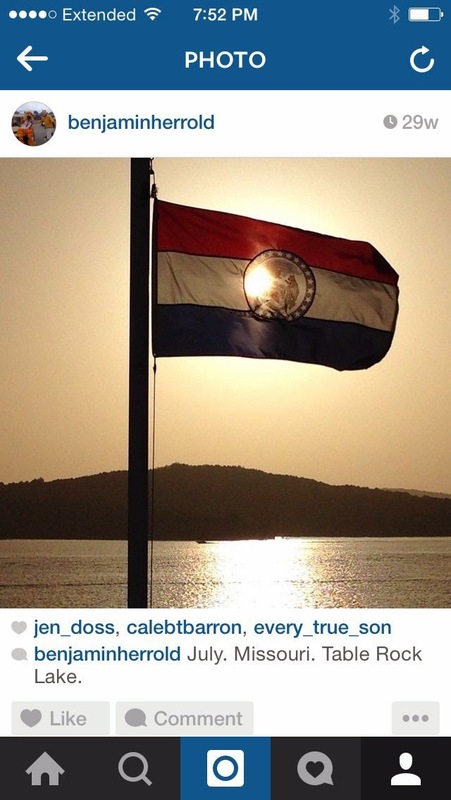 Then, Missouri came alive. As the team had done many times this season, they got up off the mat, kept digging, and found a way. As a gorgeous sunset lit up the sky above Faurot Field, Missouri embarked on a drive for the ages. The Tigers went 98 yards on 10 plays for a touchdown. They completed the two-point conversion on a trick play wide receiver pass, with old reliable Bud Sasser tossing it to Darius White to tie the game at 14. The long drive and score got the fans fired up, and the sellout crowd was roaring as the Tiger defense, strong all day, forced a punt. The crowd was delirious, part rock concert and part tent revival. Missouri’s suddenly hot offense reeled off a 12-play, 85-yard touchdown drive to take the lead with 4:38 to go. Faurot was rocking, a tempest of sound and hope. Writing about it months later, I still get goosebumps. Missouri got one more stop, when defensive end Markus Golden, maybe the MVP of this stretch run, recovered a fumble by Alex Collins to seal the 21-14 win. Fans poured out onto the field, fireworks exploded above the old stadium, and then the sweet sounds of Ray Charles’ “Georgia On My Mind” drifted out from the stadium speakers. For the second year in a row, Missouri was headed to Atlanta. With Mizzou playing on a Friday, that freed me up to gorge on college football viewing on Saturday, and what a day for binge watching. The last Saturday, Rivalry Saturday, is just fantastic. Fresh in the glow of a second straight unexpected SEC East title, I could smugly sit back and watch to see who Mizzou would face in Atlanta the following week, Mississippi State or Alabama. Ole Miss beat Mississippi State in the Egg Bowl, ending the drama. CBS put up the graphic for the SEC Championship Game, Alabama vs. Mizzou. I was so fired up I took a picture of the TV screen. Alabama beat Auburn for good measure in a breathtaking Iron Bowl. During a stoppage of play, the loudspeakers played “Dixieland Delight,” and the Alabama students sang along, punctuating each line with “F--- Auburn!” Long live college football rivalries. I long ago decided if Missouri is playing for a football conference championship, which they haven’t won since 1969, I’ll be there, so my friend Nathan Armer and I boarded a plane on Friday, Dec. 5 for Atlanta. We had a late supper at the IHOP by our hotel and watched the Missouri basketball team lose to Oklahoma. Saturday arrived warm and hopeful, and I wore shorts. Missouri was a massive underdog to Alabama. The SEC does its championship game right. It feels like a big event, with a Fan Fest at the convention hall next to the Georgia Dome, massive pep rallies for the teams, and the attention of the college football nation, given the national respect SEC football has garnered. Out front of the stadium each year is a row of flags commemorating the champions for every year in SEC history. Alabama is well represented. Inside was all color and sound and passion, the fervor of the SEC football season reaching its crescendo. The crowd was massively pro-Alabama, similar to the heavily Auburn crowd at the 2013 SEC title game. Out ran No. 1 Alabama, the juggernaut. Big Al the elephant mascot led the Crimson Tide out, his trunk swaying side to side as he ran. The Alabama Crimsonettes twirling squad glittered and twirled and radiated hotness. The band played the booming opening to the “Yea, Alabama” fight song. The crowd thundered. Alabama football is big and bold and in your face. Missouri ran out with the cheerleaders, the Missouri state flag, and Truman the Tiger. Marching Mizzou countered with its fight song, and Missouri’s smaller but hearty section made all the noise it could. The Tigers were not here to be bullied or intimidated. Yes, Alabama was really good, but when you’re this close to a first conference title in FOURTY-FIVE YEARS, you’ve got to play like you can win. The scene was set, the teams were ready, the crowd was hot. College football is full of moments like this where you just fall in love with the flawed, fantastic sport over and over again. 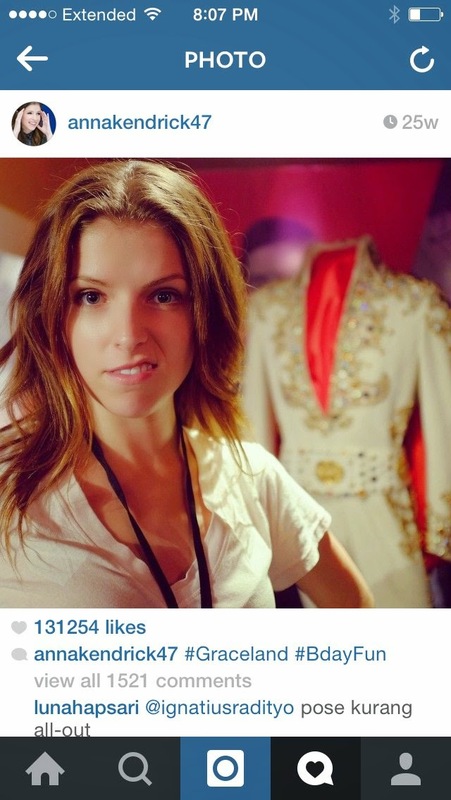 Unfortunately, college football can be, like Taylor Swift, a nightmare dressed as a daydream. Alabama offensive coordinator Lane Kiffin had the Tide running a quick tempo, hammering away at Missouri with sweeps and perimeter passing. The opening Alabama drive was a symphony, 10 plays, 68 yards, three minutes and 36 seconds, touchdown. Missouri’s offense struggled to even get first downs for a while. Alabama added another touchdown early in the second quarter on a 58-yard touchdown pass. Missouri’s defensive lineman Shane Ray, SEC Defensive Player of the Year, was ejected from the game on that play for targeting. By halftime it was 21-3 and Missouri looked cooked. But the Tigers kept battling, as they had all season. On two straight drives, Mauk spun away from the pass rush and heaved deep passes to Jimmie Hunt, who reeled them in. The first drive ended on a touchdown pass to Bud Sasser, the second with a Baggett field goal. Somehow, Missouri was within 8 late in the third quarter, 21-13. But Alabama was relentless. After Missouri got within a score, the Tide rolled to another 10-play touchdown drive. It was still 21-13 heading into the fourth quarter, but on the first play of that final quarter, Blake Sims threw a touchdown pass for Alabama. 28-13 and danger time for the Tigers. Alabama poured it on late, adding two Derrick Henry rushing touchdowns to push the final margin to 42-13. The Tigers had been soundly beaten; the Tide had rolled. It was Nick Saban’s fifth SEC title. The confetti streamed down from the Georgia Dome roof, and for the second straight year, Armer and I watched another team celebrate. The Crimsonettes writhed around in the confetti, tossing it up and letting it fall on them. It was the expected result, but still sobering to come that close and be turned away yet again, to be back at square one in the seemingly unending effort to end the conference title drought. Pinkel has guided the Tigers to four conference title games, losing each by at least 17 points. Two of them were very competitive, but Missouri has given up and average of 50.25 points in those games. But life goes on, so we found a great BBQ spot, Fox Brothers BBQ. I housed some brisket and we watched the other conference title games on the big TVs there. We got on a fairly early morning flight home, and heard the field for the first College Football Playoff: Alabama, Oregon, Florida State, Ohio State. Mizzou beat Minnesota in the Citrus Bowl, a second straight January bowl win. Minnesota hung around for a while, but the Tigers were just the better team. Missouri’s successful onside kick to open the second half added some spice. It was Pinkel’s third best season at Missouri, 11-3, and maybe his best coaching job, given the limitations the team worked around and the mental toughness the team showed. Missouri finished 11th in the coaches poll; 14th in the AP poll. Later on New Year’s Day, Oregon annihilated Florida State in the Rose Bowl, to Twitter’s delight, and Ohio State stunned Alabama in the Sugar Bowl. Ohio State then beat Oregon to win the first College Football Playoff. Urban Meyer, you may have noticed, can coach. It was another exhilarating season; the old game still enraptures its fans. Gary is still looking for that conference championship at ol’ Mizzou, and I’m still looking for the right girl. I can’t say how it will all turn out, but I can say the journey is incredible. As Walt Whitman would say, the powerful play goes on. And the skies are not cloudy all day (4). And the skies are not cloudy all day (7). And the stars shine brightly all night (11). And the skies are not cloudy all day (14). Missouri capped its season with a 33-17 win over Minnesota on New Year’s Day in the Buffalo Wild Wings Citrus Bowl. You may understandably find wings and citrus to be a surprising combination, but perhaps that’s a fitting end to a surprising Missouri season that saw the Tigers repeat as SEC East champions and again outpace expectations. Missouri (11-3) started slowly against Minnesota (8-5), which was playing in its first New Year’s Day bowl game since the early 1960s. 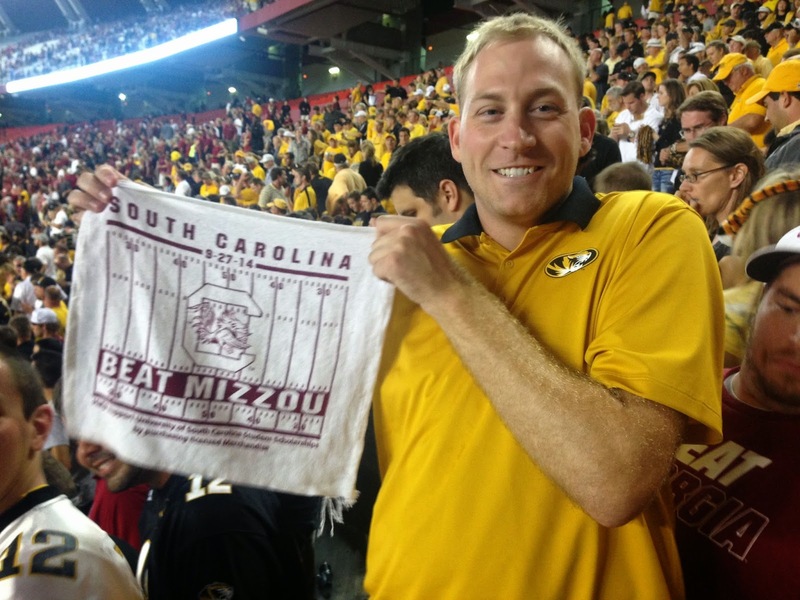 But once the Tigers quit turning over the ball, Missouri was pretty clearly the better team. Still, Missouri only led 19-17 early in the fourth quarter until Russell Hansbrough ripped off a 78-yard run to give the Tigers some breathing room. It was a nice sendoff for the Tiger seniors who helped the team make the transition to the SEC, and climb far up the conference pecking order quicker than about anyone expected. Senior receiver Bud Sasser, who epitomized this team’s determination and resilience and effort as well as anyone, had a nice curtain call moment to his career when he caught the game’s final touchdown. Senior defensive end Markus Golden, who contributed as ferociously as anyone on this team’s no-margin-for-error march to the SEC Championship Game, was named the Citrus Bowl most valuable player. It almost sounds like a backhanded compliment to say Missouri overachieved this season, as if they were a little engine that could that didn’t have much talent but somehow won 11 games. So let’s say this team played just about to its full potential, near as one can know such things for sure. Missouri had limitations this year, especially on offense. But the Tigers showed a relentlessness and a competitive tenacity to just keep playing football as well as they could, no matter what happened or whom they faced. Yes, this team’s story will always include a home loss to an Indiana team that wasn’t very good and a 34-0 defeat to Georgia. Missouri’s spirited effort to topple mighty Alabama and end the team’s agonizing 45-year conference title drought came up short under the Georgia Dome’s turtle shell-like roof. But this team also won the third most games of Gary Pinkel’s 14 Missouri teams. The Tigers showed they could rebound from defeat and disappointment. Missouri’s march to Atlanta, when the Tigers came from behind to win in each of their last three regular season games when they had to win, will be a special memory for Tiger fans. So what about 2015? Missouri will have to replace Sasser, Golden and Shane Ray, among others. Defensive coordinator Dave Steckel has left to be the head coach at Missouri State. But the Tigers also return several key pieces, including quarterback Maty Mauk. After back-to-back division titles, the road to the SEC East runs through Columbia. Georgia should be a contender again. Also keep an eye on Tennessee, which finished strong and has loads of young talent. But first, here’s to the season that was, a thrill ride of wins, losses and memories. Below are several of my Mizzou columns I wrote for the newspapers this season. I didn't get them posted when I wrote them, but I figured I'd at least put them all up now. New Year’s Day has historically occupied a special place for college football. With much of the country firmly in the icy grip of winter, the nation turned its attention to warm locales like Pasadena, Miami and New Orleans for the Rose Bowl, Orange Bowl and Sugar Bowl. The Bowl Championship Series gave fans a clear national championship game, but it was played days into January and took some of the luster from New Year’s Day. Now, Jan. 1 is as special as ever, as both semifinals of the first College Football Playoff will be played on New Year’s Day, in the Rose and Sugar Bowls. Missouri (10-3) won’t be a part of the playoff, but thanks to their successful season the Tigers get to be a part of the New Year’s Day college football extravaganza, facing Minnesota in the Citrus Bowl (noon on ABC). Sure, its the undercard to the day’s main events, but a game on network television in a big bowl game on a day when the nation voraciously consumes college football makes for a pretty great undercard. There will be plenty at stake for the Tigers and Golden Gophers. Missouri is going for an 11th win, which would be the third most wins of any of coach Gary Pinkel’s 14 seasons at Missouri. The Tigers enter the game ranked 16th in the AP poll and 14th in the coaches poll, so a win would mean a top 15 or maybe even top 10 finish. If Missouri wins, this is probably the third most successful season in the Pinkel era, just behind the 12-win, Cotton Bowl-champion seasons in 2007 and 2013. Winning New Year’s Day bowl games, is a big step for programs like Missouri, trying to climb up the college football hierarchy. Missouri is 14-16 alltime in bowl games, including 5-4 under Pinkel. Golden Gopher running back David Cobb ran for 1,545 yards and 13 touchdowns this season, so Minnesota can run the ball. A key for the Tigers will be getting Minnesota in third-and-long situations to take the Golden Gophers’ running attack out of the game and unleash Missouri’s ferocious pass rush on likely passing downs. And of course, the Tiger offense will need to find ways to score against a decent-but-not-great Minnesota defense. Missouri’s offense is not potent, but it had enough impressive drives in crucial moments to give fans some hope. I think Missouri has the edge in this game, but it should be a pretty close and entertaining game to enjoy on New Year’s Day. Last Saturday in Atlanta, the most dominating force in college football, the No. 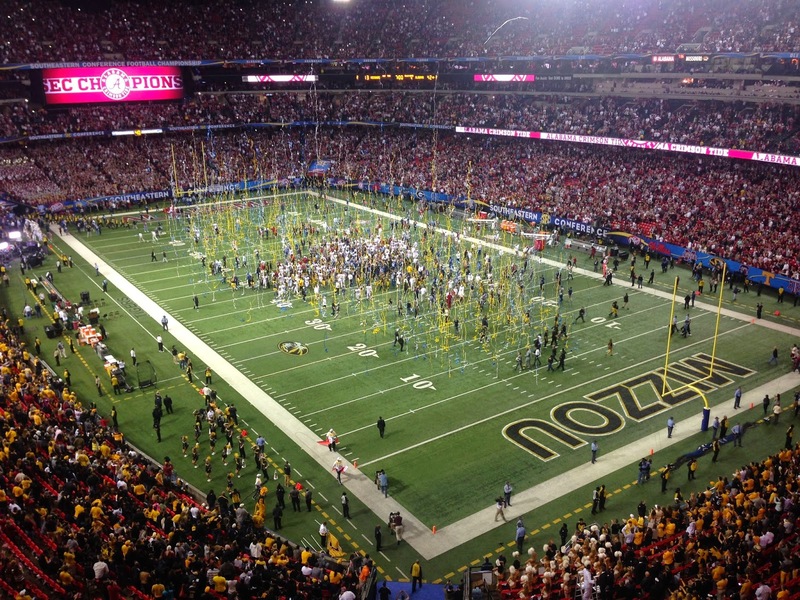 1 Alabama Crimson Tide, overwhelmed the Missouri Tigers in the SEC Championship Game. Missouri (10-3) showed plenty of mental toughness and resilience in winning the East and making it to this game, but the gap between Missouri and Alabama (12-1) was obvious as the Tide rolled 42-13. Alabama’s Million Dollar Band played the booming opening notes to “Yea, Alabama,” the heavily pro-Alabama crowd rocked the Georgia Dome, and within minutes the Crimson Tide had a touchdown on the opening drive. Alabama led 21-3 at the half, but Missouri kept competing, as the team has all season long. The Tigers got a touchdown and a field goal in the third quarter, with two plays where Maty Mauk eluded Alabama defenders and heaved the ball down the field for a completion. But Alabama is No. 1 for a reason, and the Tide put the game away with three touchdowns in the fourth quarter. Missouri could not get anything going on the ground against Alabama’s ferocious defensive front. The Tigers ran the ball 23 times but had just 41 yards to show for it, a paltry 1.8 yards per rush. Crimson Tide Blake Sims completed 23 of his 27 passes for 262 yards and two touchdowns. Alabama put the pressure on Missouri’s secondary with a barrage of quick, short passes to the outside. The Tide’s super talented Amari Cooper racked up 12 receptions. Missouri’s defense excelled this season, but on Saturday the Tigers yielded 504 yards of offense, continuing a disturbing trend of Missouri getting shredded in conference championship games. Coach Gary Pinkel is now 0-4 in conference title games. Some of those games have been more competitive than others, but Missouri has allowed 38, 62, 59 and 42 points in those games. That’s an average of 50.25 points allowed per game. These games have obviously been against top-shelf competition. Two of those four opponents, 2008 Oklahoma and 2013 Auburn, played for a national title, and 2014 Alabama might play for it next month. Pinkel transformed Missouri from a snoozing program with potential into a consistent winner. But the conference title has eluded him, a major hole in an otherwise impressive resume. This was Crimson Tide’s 24th SEC title, as Alabama has menaced the South for generations. Missouri fans have been waiting since 1969 for a conference title. Will Pinkel ever get that brass ring? He’s taken the Tigers so far, but on Saturday night a conference championship still felt far away. Still, Pinkel did a fine coaching job with this team, and 10-3 seasons should be celebrated. The Tigers were rewarded with a trip to the Citrus Bowl on Jan. 1 (noon on ABC) in Orlando. Missouri will face the Minnesota Golden Gophers (8-4), who are probably grateful they’ll be in Florida instead of Minnesota on Jan. 1. The Gophers have shown signs of progress under coach Jerry Kill, so it should be a pretty good game. A win would be a nice finish to a successful season.